On the 9th, 10th and 11th of July the International Automotive Conference 2018 was organized at the Polytechnic of Milan Bovisa Campus organized by AEIT and IMAPS, in collaboration with the Polytechnic of Milan, the Polytechnic University of Milan and the Polytechnic of Turin. ST, as a Golden Sponsor, took part in the event with various interventions. 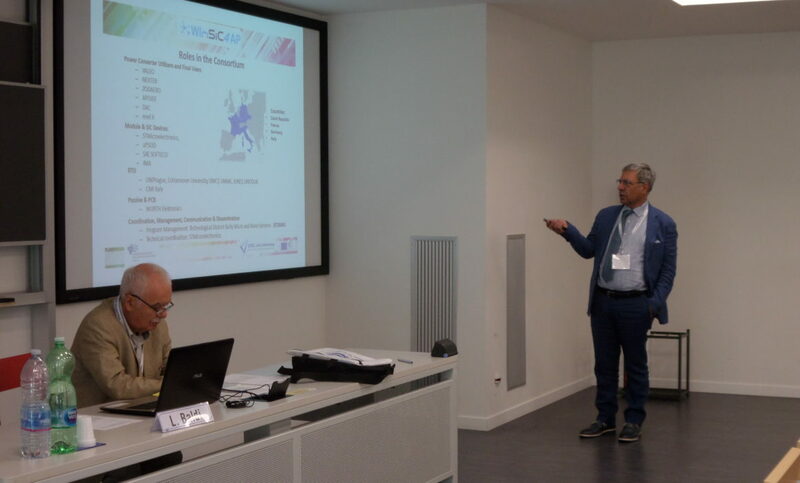 In the third edition of “Automotive”, the forum of electrical and electronic technologies for the automotive industry, the future scenarios and the most recent results of the scientific and technological research of the sector were presented and discussed, with particular emphasis on the application fields. The Conference, in its second international edition with Call For Papers, brought together in a single event the scientific communities of the automotive industry, network operator and electric vehicle charging infrastructure sector. The themes of the electric car, connected and autonomous, have been dealt with in their entirety. Automotive 2018 has registered more than 200 registrations and 38 scientific contributions have been presented over 30 invited reports and three round tables, led by journalists and animated by academic and industrial experts, on the prospects of technologies and regulations, on the evolution of Powertrain and on mobility scenarios open from the autonomous and connected car. Also in this edition of Automotive in the Key Notes and in the presentations the trend in net growth expected from today up to 2025-2030 for the electric car has been confirmed with considerable advantages for the environment. The challenge for the global reduction of CO2 emissions pushes in fact to decrease the fleet of thermal motor vehicles replacing it with new generation of EV (Electric Vehicle). In some exhibitions, technological innovations related to conversion electronics and BEV batteries have been shown. As for batteries, the best-selling electric car models range from 22-41kWh up to 60-100kWh for high-end models. The Enel-X distributor, also Partner of WInSiC4AP Project, showed the current coverage, in Italy, for the charging stations. Already compared to last year the recharge at home or the building is a close reality. On the other hand, fast top-ups offer times of less than 10mn, not imaginable a few years ago. All this implies, and has been discussed, the management of a huge grid with auto prosumers that require and give energy according to the needs with Vehicle To Grid techniques. Regarding the path to autonomous driving, 5G technology, which allows ultra-fast data transmission, will allow to continue the developments up to level 5 (fully automated) for which, in the future, the system will be completely under control and not the driver’s intervention will be more necessary.